We make this vendhaya dosai / fenugreek seeds dosa / methi dosa at least once in a month.This is very good for health. It reduces the body heat and good for stomach ulcer & diabetes. I learnt this recipe from my MIL and I made it yesterday. It was crispy, spongy and tasted great. This fenugreek seeds dosa batter can be stored for few days in refigerator. Poondu molaapdi/ raw garlic dry chutney is the best combination for this dosa. I have tasted this dosa with sambar, chutney , korma etc. But nothing can beat this poondu molaapdi. U can have this dosa with coconut milk or milk mixed with jaggery syrup. I used to have 2 dosas with milk and 2 dosas with molaapdi :) It may resemble like aapam, but it tastes different. Usually it is made thick like uttapam but my husband likes it crispy. So I make thick ones for me & crispy for him. It tastes & comes out great in either ways! Do try this vendhaya dosai with garlic chutney. It doesn't taste bitter at all if the batter is fermented well. Wash and soak the rice for 2 hrs. Similarly , wash and soak urad dal, toor dal and methi seeds for 2 hrs. You can also soak everything together and grind in mixie too. Now grind the methi seeds along with dals with water for 10 mins.Batter will be fluffy becomes smooth.. Then add the rice with required water and salt to it , grind to make a smooth batter. Remove and transfer it to a bowl.Check for salt. Let it ferment for 10 hrs or over night. The next day ,mix the batter well with the ladle. Add little water if batter is too thick. Pour it on the hot dosa tawa.Spread a little , drizzle sesame oil around it and cover cook for 1- 2 mins .No need to flip over. Make it thick or thin as per ur wish.. 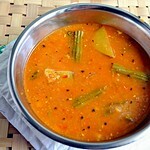 Remove the dosa and serve hot with poondu molaapdi or coconut milk. Garlic – 1 bulb or 15 flakes. Peel the garlic and keep it aside. Heat a kadai with oil and roast the red chillies till it turns dark brown. Now grind the garlic flakes,roasted red chillies , grated coconut with the required salt. Please don’t add water. This chutney should be coarse.. Remove and Keep it in the serving bowl. Love Garlic chutney..yummm. Fenugreek has so many advantages..We use a spoon full for all dosas..
New recipe to me chitra..I just add few methi seeds to my dosa batter..Looking yummy.. Adding methi seeds to doa is a healthy tip, My Amma puts it in all kinds of dosa batters for health purpose. 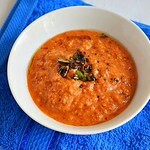 The molaapdi is new to me, looks spicy and great with dosas wow! To create a better life by sharing the achievements of Tianshi. Yummy Dosa and poonu podi. I have tasted in my friends place, i love this. 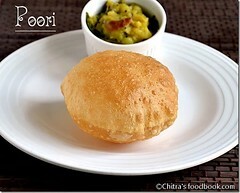 Very nice information about methi, garlic etc. My version of menthiya dosa is different. Yours look spngy. Your version sounds interesting and shall try it sometime. 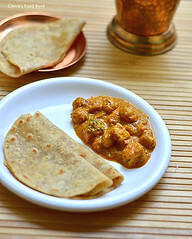 Oh wow healthy and yum.....Informative post on fenugreek. Hey thanks for stopping by! 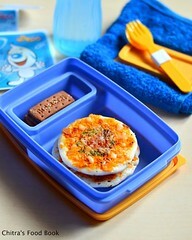 U hve a nice blog too, I liked the kitchen clinic space nice infn! Both vendhya dosa and garlic molaapdi sounds new to me...will give a try soon! Excellent information you`re sharing with us. thanks for dropping by & leaving your lovely comment. the dosa seems definitely healthy. Got to know lot of methi seeds - i thought it was only good for treating constipation. Thank you chitra for dropping by..You have a very nice blog and i liked especially your kitchen clinic section which gives very good information..
Poondi thovayal / podi is my favo. will u add tamarind with that podi? venthaya thosai ...wow I can even smell it from here. flavorful combination. Nice post. When you mentioned that you'd had this dosa with korma, my tummy rumbled in hunger! But garlic chutney sounds so good, too! Thanks again for such excellent information on fenugreek and garlic. 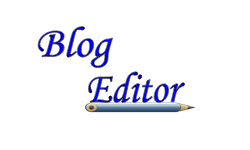 This is my first time here.. You have a fantastic blog here.. Love the way u write about the ingredients! Great job! Can you tell me how much of methi seeds I need to put for 2 glasses of rice? 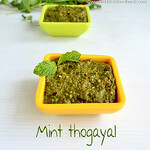 For 2 glasses of rice , u need to put fistful of methi seeds which comes around 1/8 cup. 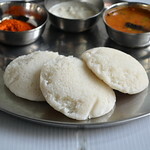 @ varunavi, u can try replacing idly rawa.I have not tried yet but i am sure it will come out well.. It is mentioned that 500mg of fenugreek seeds to be taken daily, i thingk it is wrong. May be it is 50mg. per day - for lowering blood sugar and pressure. In my home my mother always used to cook with fenugreek seeds, perungayam wherever needed. The health benefits are so many and it adds good flavour and taste to the foods. We are really gifted by the God with such rare herbs which are used as food and with best medicinal qualities for our health. 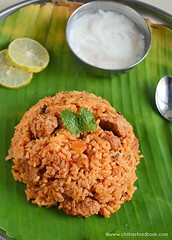 Our (south) Indian kitchens are seemingly having really meaningful spices for food preparation and good health. I can say that if one is maintaining good food practices (i.e., limited intake) even if it is a favorite food or tastier one, should not go for full stomach of food and must eat in time and only after digestion of the previous food. i mean, only after feeling hungry one should take further food. 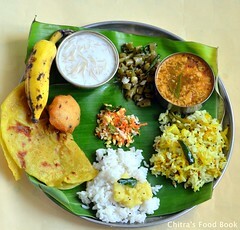 that also to be half stomach food will help to avoid obesity, pressure and any other health problems. I tried your poondu molapadi. It was excellent. Thank you. Thank u so much Keerthi sir.Keep trying and give ur comments. :) Its sure encouraging !